One of the cleaner scenes I can use from Motel Mist. Pimpaka Towira is on a victory lap of the festival circuit, following her Asian Future Award win at the Tokyo International Film Festival last year, with her latest feature The Island Funeral (มหาสมุทรและสุสาน, Maha Samut Lae Susaan). She’s joined the seasonal migration of Thai indie filmmakers, who each winter fly to such frigid northern cities as Rotterdam, Berlin and Goteborg, Sweden, where they are mated with funding, awards and critical acclaim. They then return to Thailand, where they further propagate the species. In addition to the Bright Future section at the International Film Festival Rotterdam, Pimpaka will show The Island Funeral in Goteborg, where it is in competition for the Ingmar Bergman International Debut Award. Like Tokyo’s Asian Future Award, the Bergman prize is for filmmakers making their first or second feature, and Island Funeral, which is Pimpaka’s second drama film and has been eight years in the making, definitely qualifies. The Goteborg fest runs until February 8. Starring Actors’ Studio-trained Heen Sasithorn, The Island Funeral is a road movie, covering the journey of a young Bangkok woman and her friends into the heart of Thailand’s restive Deep South. 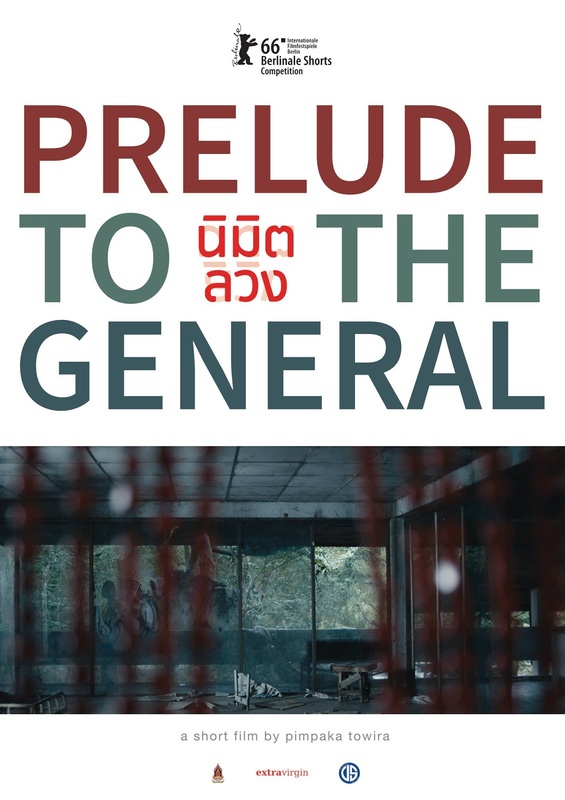 Pimpaka might also be on the road to the Berlin International Film Festival, where to prove she has enough love in her heart to spread around, she has Prelude to the General, a short that that is spun from one of her many spinning plates, a work-in-progress feature called The General’s Secret (Kam Lub Khong Nai Phol), which she offered at the Thai Pitch in Cannes in 2013. Perhaps she’ll stop by the Berlinale Talents Campus, where she’s a 2005 alumnae, and run into a few young filmmakers who look up to her as a mentor, including Thai indie director Sorayos “Minimal” Prapapan and Korean-American director Josh Kim, who broke into the Thai film industry last year with his debut feature How to Win at Checkers (Every Time), which garnered much acclaim when it premiered in Berlin last year. The Berlin fest runs from February 11 to 21. Back in Rotterdam, Thai producer-director Anocha Suwichakornpong has arrived after a flight delayed by a psychotic passenger and a dented aircraft door kept her on the ground overnight in Warsaw. She’s there to be part of the jury for the Hivos Tiger Awards, of which she’s a past winner, for “Mundane History” in 2010. Rotterdam has been most kind to Thai films in past years, with other winners being Aditya Assarat with Wonderful Town in 2008, Sivaroj Kongsakul with Eternity in 2011 and Jakrawal Nilthamrong's Vanishing Point last year. 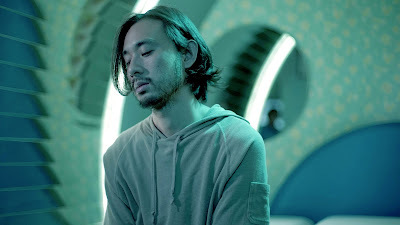 Among the entries to gander at this year will be Motel Mist, the debut feature of Prabda Yoon. A SEA Write Award-winning novelist, Prabda is best known in the movie world as the screenwriter of Pen-ek Ratanruang’s trippy 2003 classic Last Life in the Universe. His Motel Mist appears to be another existential freak-out, luridly taking place in the rooms of the Motel Mistress, an alien-looking love motel in Bangkok. And if that’s not enough wonderful Thai weirdness for Rotterdam festival-goers, they can feast eyes on Painting with History in a Room Filled with People with Funny Names 3, a short film by artist Korakrit Arunanondchai that blends denim, drones and body paint. A crocodile is in the mix as well. 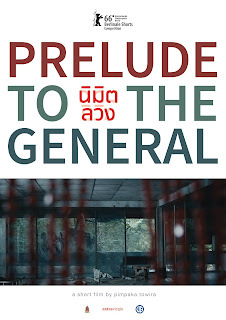 There's another Thai film in Rotterdam as well, but I will refrain from naming it. In other festival news, director Tom Waller is continuing to win awards with his 2014 feature The Last Executioner, a biopic of Thai prison guard and executioner Chavoret Jaruboon. At the Dhaka International Film Festival recently, Waller was awarded Best Director, while Executioner leading man Vithaya Pansringarm shared the Best Actor prize with Iraqi’s Mahmoud Abu Abbas, who won for Samt Al Rai (Silence of the Shepherd), a slow-burn thriller by Raad Moshatat. The Last Executioner was notably snubbed for the Thai film industry’s Subhanahongsa Awards last year, but won screenplay and best picture in the Surasawadee Awards, the long-running movie honors that’s also known as the Tukata Tong or Golden Doll Awards. There is much more to report on the festival scene. Please be patient while I slowly catch up.